Radio-frequency identification (RFID) has become ubiquitous since it rose to prominence in the 1970s. Businesses in every corner of the market—from agriculture to transportation—have rapidly adopted RFID technology to help identify and track goods, collect tolls, take payments and even time runners crossing the finish line at marathons. The versatility of this impressive tech has experts predicting that it will explode into a $40.5 billion market by the year 2025. Since it’s only expected to grow, business owners need to embrace it before they’re left in the dust. 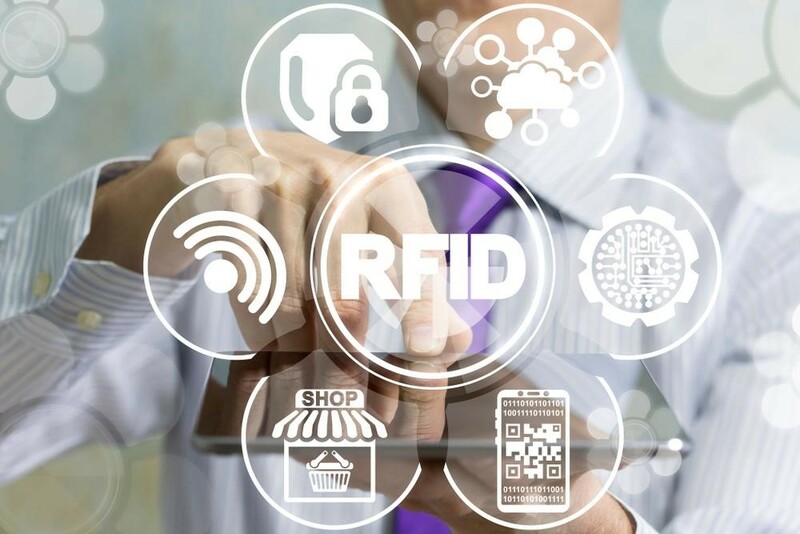 We already know that RFID, coupled with the appropriate supply chain software, can revolutionize the way you do many of your day-to-day tasks, but is it revolutionary for the better? There are many measurable benefits to adopting RFID that can help you optimize the supply chain, protect your inventory and boost your business. ● It Increases Inventory Accuracy—Keeping an accurate inventory is key to ensuring that customers are happy and your supply chain is efficient. RFID technology is one of the top technologies for inventorying, with studies showing that the tech increases inventory accuracy from anywhere between 65 and 95 percent. Inventory mistakes become almost entirely nonexistent when you pair your RFID system with a good materials management software. Accurate inventorying helps boost customer satisfaction and supports your business goals by helping you lessen lead times, improve fulfillment, forecast demand and prevent items from being over- or understocked. ● It Helps You Track Your Shipments—It’s no longer enough to give customers or clients a general idea of when their order will arrive. In this day and age, the vast majority of consumers (88 percent, to be exact) expect real-time order tracking. RFID ensures that everything that enters and exits your facility is tracked accurately, letting your customers and partners know when items are being processed and when they’ve been handed off to a shipper. Your shipping company can help guarantee that your goods are tracked at every point until they’ve reached their final destination. ● It Simplifies Procurement—For a real dream team, pair an advanced procurement software with RFID hardware. Together, these technologies simplify every facet of procurement. They can even automate the procurement process by automatically reordering products, goods or materials as needed without your team needing to bother with managing and monitoring stock levels. We all know that procurement—getting quotes, writing up contracts and endless research, among other tasks—is one of the more time-consuming facets of production, so letting tech do half the work for you is a true game-changer. ● It Protects Your Investment—Lost warehouse inventory, misplaced stock, unbalanced numbers. It sounds crazy, but goods go missing more often than you might expect. One of the simplest ways to protect your stock is to track its every move, from the minute it arrives in your facility (and, most likely, before then if your suppliers use RFID) to the second it arrives at its destination. Retail establishments often use small, easily concealable RFID tags to prevent theft. You can also use RFID to identify and authenticate employees or to block off access to certain rooms or areas. Think of your up-front RFID spend as an investment to protect your assets. ● It Helps You Get More for Less—Your RFID and software are the bones of your operation. They’re flexible enough that they can work in just about any environment, adjust to any supply chain plan and accommodate constantly scaling businesses. More specifically, RFID sensors can help you create a flexible manufacturing process that ebbs and flows as needed. For example, you could use these sensors to alert your manufacturing equipment to change its process based on the size or shape of a given item. You can also transfer all RFID systems to a new facility, if needed. ● It Helps Boost Efficiency—If you are still not convinced of the many benefits of RFID, consider it from an efficiency standpoint. At its core, this technology provides supply chains with a higher level of transparency at all rungs, which means more and more accurate data aggregation. Looking at the analytics can help you cut out any efficiencies in the supply chain and understand where things are moving quickly or lingering for too long. Of course, being able to tag large quantities of items also eliminates the time-consuming act of manually counting and tracking, so it’ll help you get bigger daily jobs done quicker. There’s case study upon case study proving the many tangible benefits of RFID in supply chain and manufacturing, and its ubiquity is well-earned. But it’s important to note that RFID technology can only go so far on its own, and that it needs the appropriate software to bolster it. But, in general, this is great news for those looking to adopt a new RFID system because the software behind it helps you tailor the technology to your specific needs. Spending the time to identify the best solutions for your business will help ensure that you get a big ROI when you go RFID.